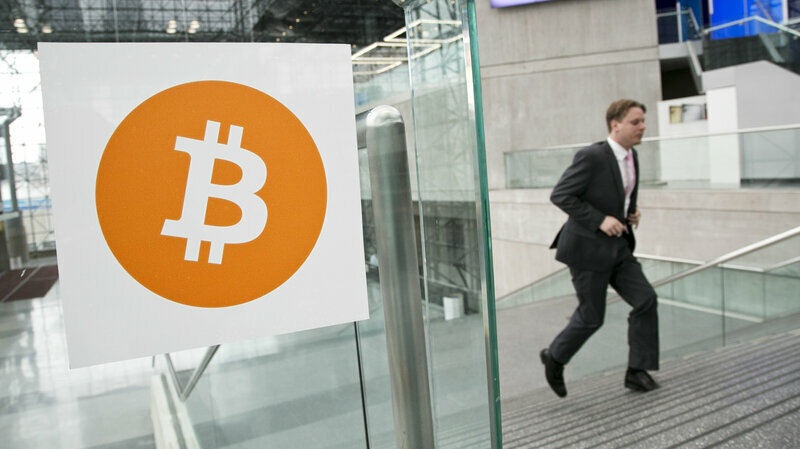 Entrepreneur Craig Wright says he is the creator of the bitcoin crypto-currency. In this 2014 file photo, a man arrives for the Inside Bitcoins conference and trade show in New York. For years, it's been a mystery: Who created the bitcoin crypto-currency, only to vanish as the virtual money grew into a phenomenon? Australian computer scientist Craig Wright now says he's "Satoshi Nakamoto," the alias that was used to create bitcoin. "Satoshi is dead," Wright wrote in a blog post in which he says he created bitcoin. "But this is only the beginning." In his blog post, Wright also discusses identity and meaning — or, more precisely, the sign and the signified — key semiotic concepts that apply to both currency and literature (Wright quotes Jean-Paul Sartre) and theology (in which he holds a doctorate). Wright, 45, is an entrepreneur whose name has often been mentioned in conversations about bitcoin's creator — most notably in December, when NPR's Alina Selyukh wrote that both Wired magazine and Gizmodo had concluded bitcoin was probably started by Wright, possibly in conjunction with U.S. computer expert David Kleiman, who died in in 2013. At the time, Wright was also under the scrutiny of Australia's government, with police raiding his home and office in Sydney as part of a tax investigation. That part of the story — along with journalists' (since disputed) claims of having unmasked Satoshi — means that Wright's declaration is generating some skepticism, and even some declarations that he's engaging in a hoax. In forums on Reddit and elsewhere, critics are faulting the proof that Wright seemed to offer for his claim; others say it could take days and weeks to verify. The BBC, which along with The Economist and GQ was given special access to Wright, reports that during its session with him, he "digitally signed messages using cryptographic keys created during the early days of bitcoin's development. The keys are inextricably linked to blocks of bitcoins known to have been created or 'mined' by Satoshi Nakamoto." "Some people will believe; some people won't," Wright tells the BBC. "And to tell you the truth, I don't really care." Wright says that while he was "the main part" of creating Bitcoin, he did it with help from others. He adds that the tax dispute in Australia stems from a basic misunderstanding about how bitcoin works. As for why he's now emerging, Wright says he wants to clear the record, citing distractions and privacy concerns related to his family and staff stemming from the fixation on unmasking bitcoin's creator. In its report analyzing Wright's claim, The Economist writes that he demonstrated that he possesses at least one crucial key for a bitcoin block (or batch of transactions), adding, "This assessment is shared by two bitcoin insiders who have sat through the same demonstration: Jon Matonis, a bitcoin consultant and former director of the Bitcoin Foundation, and Gavin Andresen, Mr Nakamoto's successor as the lead developer of the cryptocurrency's software (he has since passed on the baton, but is still contributing to the code)." Even if Wright's assertion is verified, it's not certain how much impact the details about bitcoin's parentage might have. The currency is now in a relatively stable price pattern, after skyrocketing in value to nearly $1,000 in late 2013 — and then slumping to less than half that amount five months later. It's now around the $440 mark, and The Economist notes that all of the virtual currency is now worth around $7 billion. Wright also said he has no intention of becoming a public personality, telling the BBC that he will "never, ever be on a camera again." He also said he wants neither money nor fame, and that if he's put up for an award — citing the Nobel Prize and A.M. Turing Award as examples — he would "never, ever accept a cent from any of you for anything." "I have been staring at my screen for hours, but I cannot summon the words to express the depth of my gratitude to those that have supported the bitcoin project from its inception — too many names to list. You have dedicated vast swathes of your time, committed your gifts, sacrificed relationships and REM sleep for years to an open source project that could have come to nothing. And yet still you fought. This incredible community's passion and intellect and perseverance has taken my small contribution and nurtured it, enhanced it, breathed life into it. You have given the world a great gift. Thank you." In his blog post, Wright also discusses identity and meaning — or, more precisely, the sign and the signified — key semiotic concepts that apply to both currency and literature (Wright quotes Jean-Paul Sartre ) and theology (in which he holds a doctorate). Wright, 45, is an entrepreneur whose name has often been mentioned in conversations about bitcoin’s creator — most notably in December, when NPR’s Alina Selyukh wrote that both Wired magazine and Gizmodo had concluded bitcoin was probably started by Wright, possibly in conjunction with U.S. computer expert David Kleiman, who died in in 2013. At the time, Wright was also under the scrutiny of Australia’s government, with police raiding his home and office in Sydney as part of a tax investigation. That part of the story — along with journalists’ ( since disputed ) claims of having unmasked Satoshi — means that Wright’s declaration is generating some skepticism, and even some declarations that he’s engaging in a hoax. Previous PostCraig Wright: who is the reluctant multimillionaire behind Bitcoin?